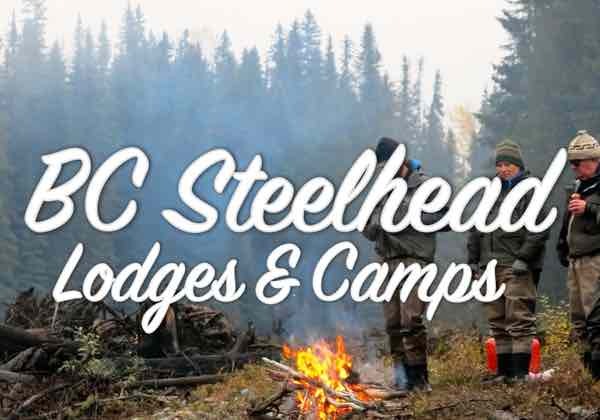 The most recent Steelhead Society of British Columbia AGM was held this past weekend, you should think about supporting the society and become a SSBC member if you aren’t already. A good turnout of about 50 people, nice to see and two very good presentations, one by retired senior fisheries biologist and author Bob Hooton and BCIT Fish Wildlife and Recreation Program instructor Dr. Marvin Rosenau. Dr. Rosenau provided some compelling and alarming statistics on the disappearance of radio tagged juvenile salmon in the Greater Georgia Basin and Straight of Georgia. 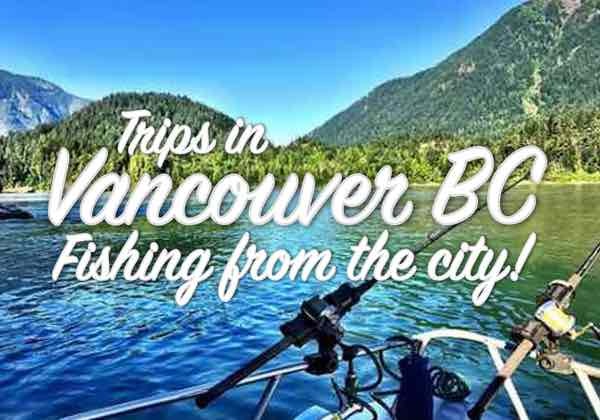 This area is home to the majority of BC’s fish farms. 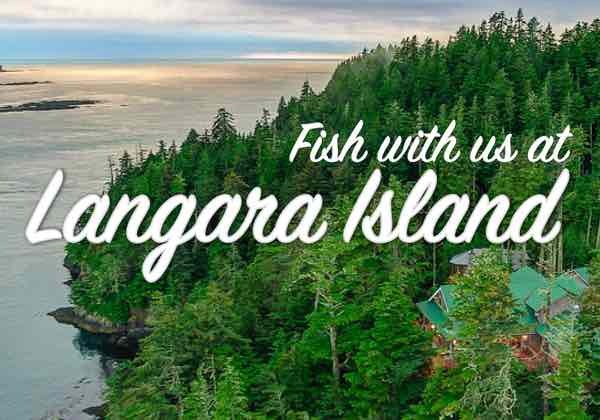 One can come up with their own analysis on why these radio tagged fish are ‘falling of the map’, but it is pretty evident that these fish are experiencing poor survival rates in this region of the BC coast. 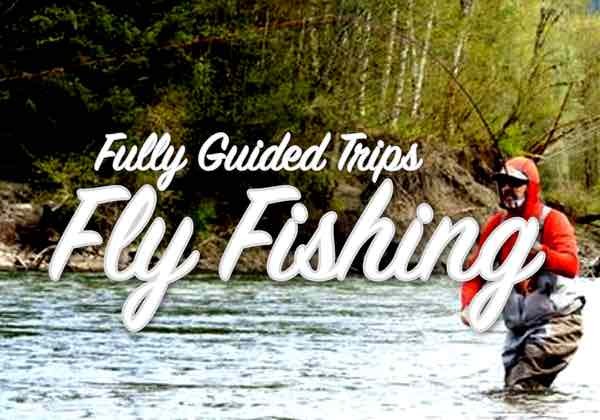 Is it because fish farms and sea lice are inhibiting their journey? It certainly looks this way from the compiled data. Much of the data was from Kintama Research. 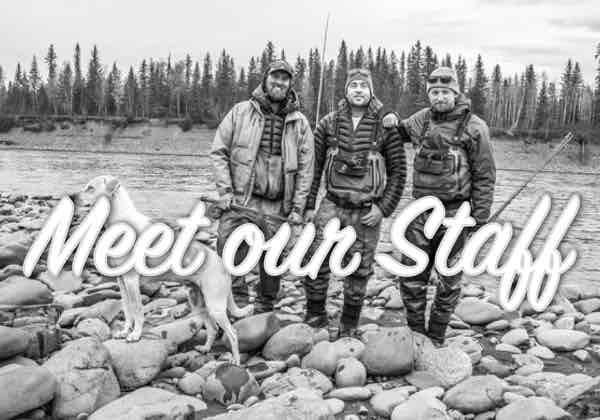 Kintama tags smolts with acoustic transmitters (tags) and using acoustic telemetry, tracks their journey down the Fraser River and along the BC coast. It’s pretty neat to really see where this fish go, but also pretty disturbing to see them simply disappear as they journey northward up the BC coast. If you visit the Kintama website and go to the Visualizations page, there are more examples of time lapse snapshots of where these fish go and where they disappear from being tracked. 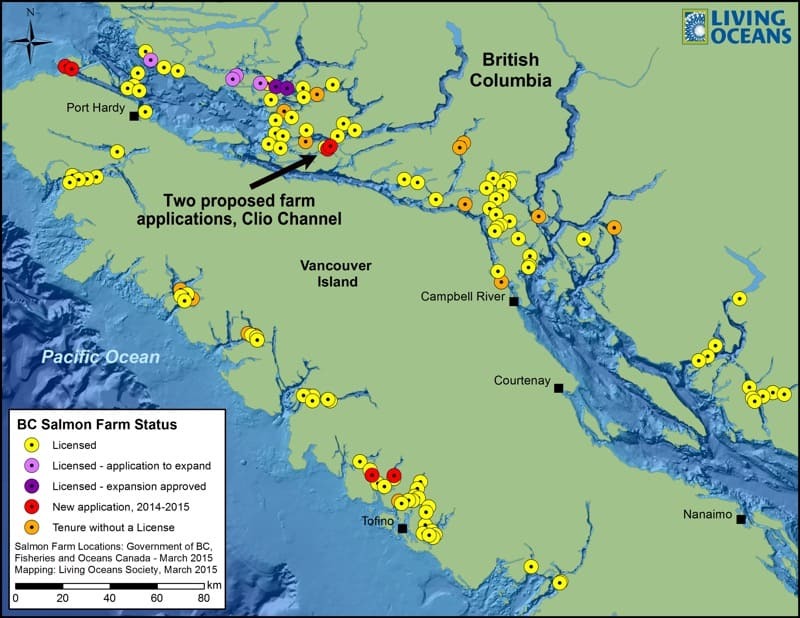 If you’re not familiar where the majority of fish farms in British Columbia are located there is a map below and if you’re not up to date with the correlation between fish farms, sea lice and their detriment to wild fish stocks, please read this article from Farmed & Dangerous. 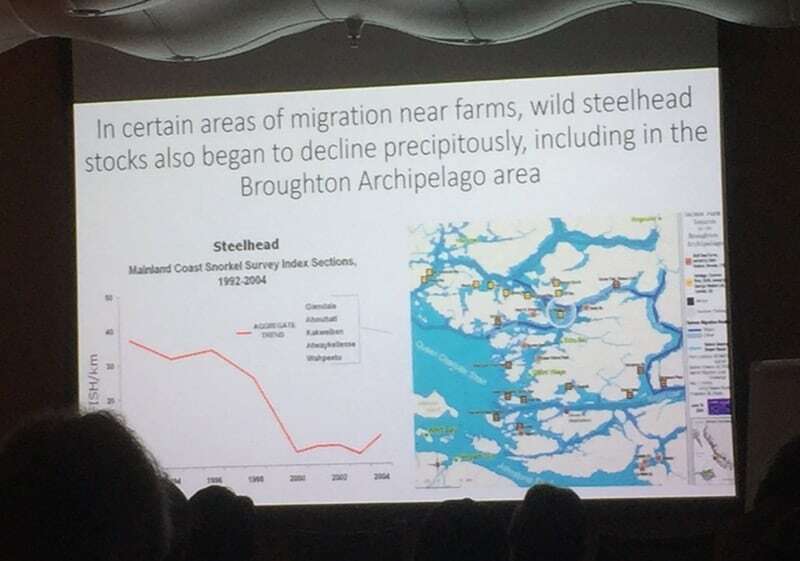 Dr. Rosenau also presented some compelling slides, that showed the perils of BC salmon stocks. Sorry for the poor quality of them, taken on an iPhone sitting in the back of the room, but I thought they’d be of interest to some of you who weren’t there. I’ve tried to caption them the best I can so you have some understanding of what they represent, please note the descriptions are from memory and shouldn’t be taken verbatim. 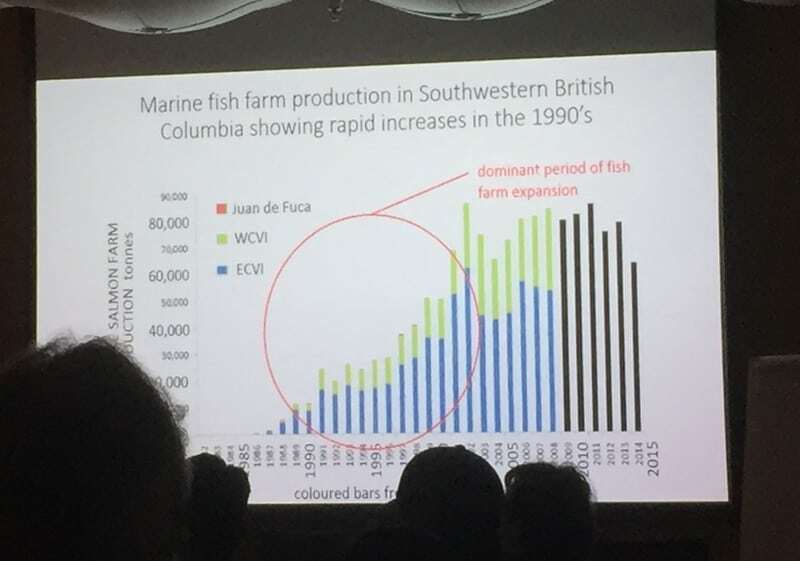 This is the production of BC fish farms, with the most expansion happening the mid 1990’s to early 2000’s. This correlates with declining wild salmon populations, that happen during the same time. The black bars are after the Cohen Commission. This is showing the rivers that were snorkelled for fish counts near the fish farms saw a dramatic decrease in fish starting at the same time fish farms were being introduced. 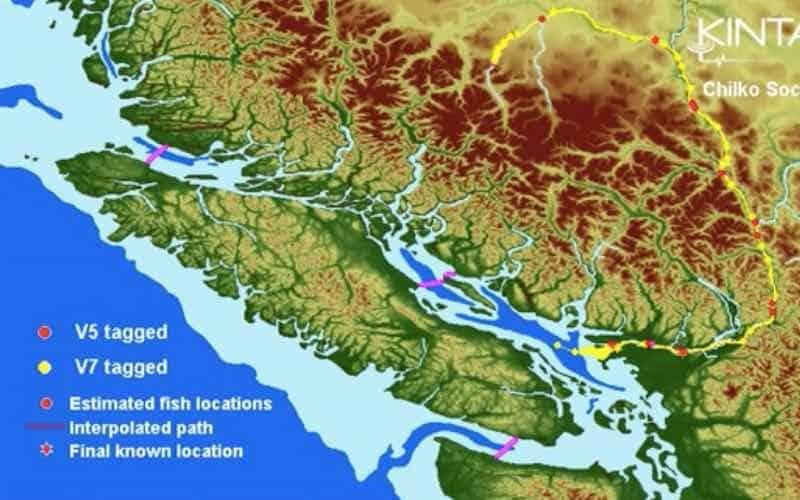 These are pristine areas of BC’s coast, posing the question, was the introduction of all these fish farms killing wild fish? This is comparing salmon from the Fraser River, who are at greater risk of being exposed to fish farms, to salmon from the Columbia River, who’s open ocean journey doesn’t put them in as much contact with fish farms. 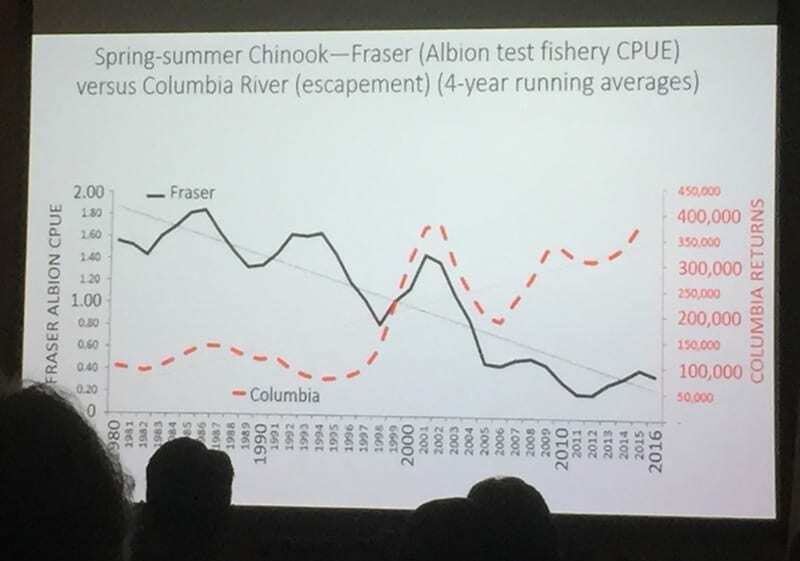 Note the dates of Fraser River chinook declines to the expansion of BC fish farms. Columbia River chinooks are more inclined to travel up the WCVI rather than through the Straight of Georgia, where there are more fish farms. Most Fraser River chinooks follow the Straight of Georgia north. 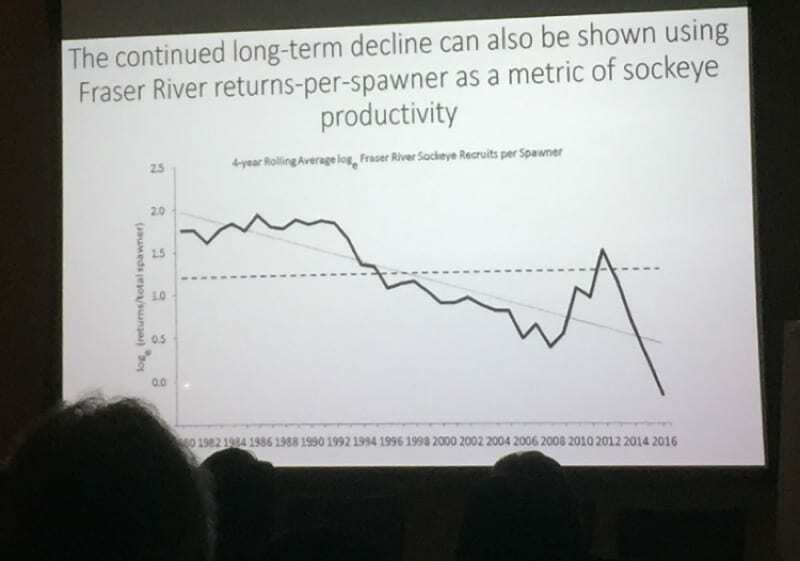 Another graph showing the long term decline of Fraser River sockeye returns-per-spawner, which are also in serious trouble, even after the Cohen Commission recommendations. These were just a handful of the slides presented. 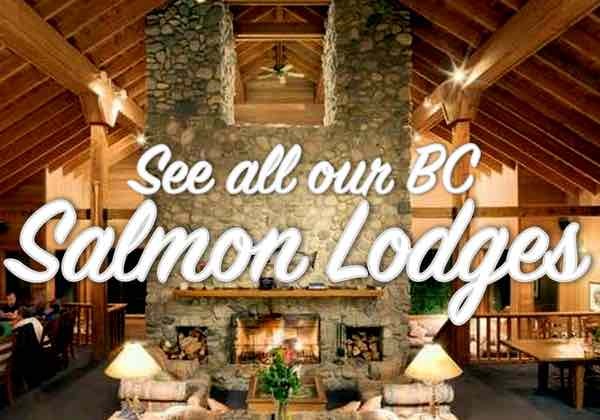 Wish there was a full set available online where the public could see them all, because they do give a stunning visual of the problems and challenges BC’s salmon stocks are enduring. 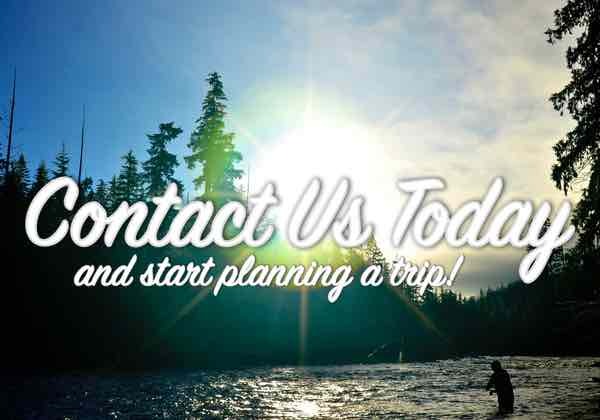 You are welcome to come up with your own conclusions on this small bit of science, however, as citizens of British Columbia, whether you’re an angler or not, declining salmon and steelhead stocks do affect you. Regardless if it’s fish farms and sea lice, or warming water temperatures, or loss of habitat or increased predation, when salmon don’t survive either does the BC coast, both environmentally and economically. If we have salmon stocks in decline it is the responsibility of all of us to bring it to the attention of our fellow citizens and to government. If fish farms are killing juvenile salmon, which almost all the evidence shows, well beyond what is here, then we have to ask our governments why is this being allowed? For financial gain? To appease the aquaculture industry? Are we going to look back on this in 10, 20, 50 years in bewilderment of our shortsightedness? Probably. 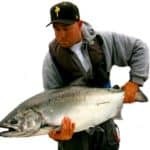 I often think, do the industries of sport fishing and commercial fishing, the rights of FN communities, the cultural significance of salmon in British Columbia and most importantly, the fact that salmon sustain every single ecosystem that they are a part not count for anything anymore? Is this not of equal or greater value to aquaculture and poor resource practices in British Columbia? These are questions we should be posing to our elected officials and questions every citizen of British Columbia deserves an answer to. Thanks for reading.